It has taken more than a century of research and experiment for aviation to come out of the realm of fantasy. Man has no wings but the vast expanse of the blue sky was never meant to be reserved for the birds alone. The vivid description of Pushpak Vimana, a flying chariot mentioned in epic Ramayana, shows that the concept of travelling by air was much more than a mere flight of imagination. There are also references in Greek mythological stories to how Daedalus and Icarus went flying. The Chinese managed to put balloons and kites in the air. The man's quest to touch the sky continued and hand gliders were developed. 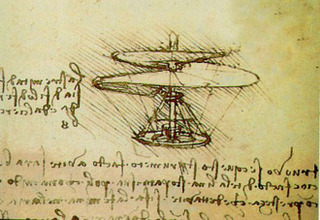 Leonardo Da Vinci designed one but never flew it. The aviation history is a story of people who made significant contributions in the development of the concept of flying. The Chinese experiment with kites and balloons, the detailed description of Pushpak Vimana in the Indian mythology, the imagination of the Greeks and numerous attempts by enthusiastic engineers to build gliders and powered aircraft were left far behind by two bicycle mechanics - Orville and Wilbur Wright, in 1903. Their 12-horsepower contraption was airborne for 12 seconds on the morning of 17 December in Kitty Hawk in a far-fetched corner of North Carolina. The dream of flying was realised. Wright Flyer, as it has come to be known, achieved very little in terms of flying parameters on its maiden flight; it was in the air very briefly and couldn't even have flown if its pilot (Orville Wright) was heavier than 150 pounds. But it laid the foundation for the controlled aircraft. There was no looking back. The aviation innovation had caught the imagination of the world. The Wright brothers' machine evolved into a generation of biplanes, the two-winged aircraft. The most significant developments came during the World War. It was the time when rickety biplanes gave way to single wing aircraft made of aluminium. The aircraft were used extensively for military purposes and became a potent weapon. When the aircraft started flying, it was immediately settled that they would carry more than one person. When French pilot Henry Farman flew in Paris in 1908, he carried a passenger with him; Leon Delagrange. It was an important milestone as years later the air travel was to become the most accepted form of travel. But before that could happen there were several feats to be achieved. The aircraft were found worthy of any commercial use only in 1917 when airmail service was started between Washington and New York in the United States. The fact that aircraft would take people from one country to another was realised when Charles Lindbergh crossed Atlantic on May 20, 1927 in his plane named Spirit of St. Louis. 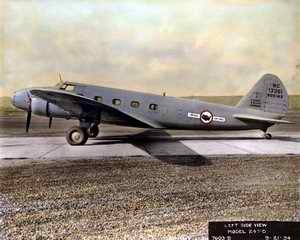 Some years later when facilities like air traffic control were developed, Boeing introduced the first modern passenger aircraft - Boeing 247 in 1933 with a capacity to carry 10 persons. 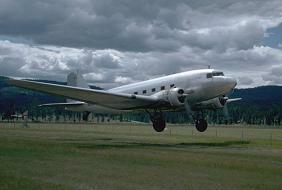 But the aircraft that took fear of flying off people's mind was DC-3, a sturdy machine introduced in 1936. Then came the Jet Age that redefined flying. British pilot Frank Whittle in 1930 designed the first jet engine but the first jet aircraft was flown by Germans and soon the Americans came out with Bell P-59. Cessna, Beechcraft, Bombardiers were surnames of innovative technicians and entrepreneurs before they became names of popular aircraft. After the successful establishments of aircrafts there production took place in mass.